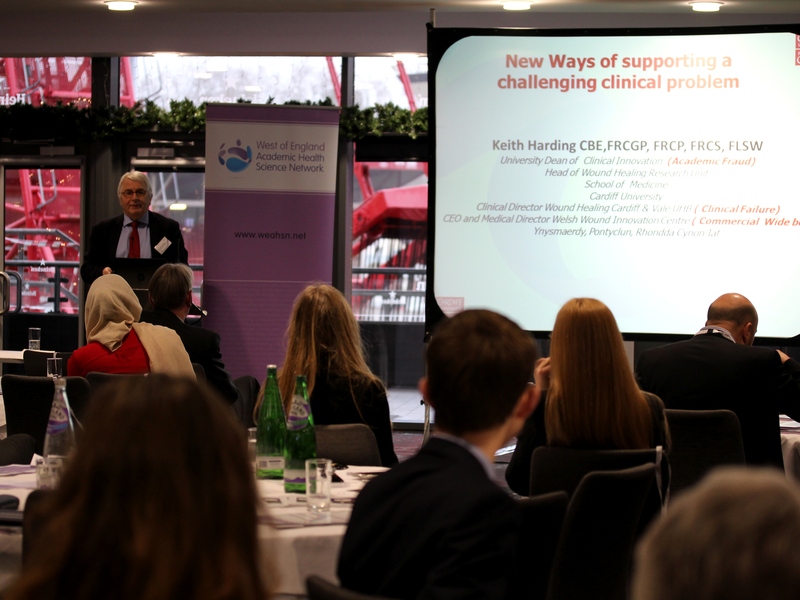 Over 60 delegates from healthcare, universities and industry came together on 10th December at the Ashton Gate stadium in Bristol for ‘a jam session with financial instruments’ to learn about innovative financial models in healthcare. The day included discussions from social investors including Resonance Ltd, Bridges Ventures and Social Finance on social impact models and examples of their application in healthcare. For example an investment to reduce loneliness and isolation on Worcester and the Shared Lives project. We also heard from the Chief Executives of Sirona CIC (a social enterprise) and 2gether NHS Foundation Trust on the challenges they face with moving to new models of funding. These included healthcare system issues such as the contract duration with commissioners being too short to show a reasonable return for social investors. In addition, the scale of many current social investment schemes is at the programme and large project scale rather than whole healthcare delivery scale. We also heard from Inno-X, a company based in Denmark, who has established their CrowdsWhoCare platform which facilitates funding for need-driven innovations. Take a look at some of the conversations that we had on Twitter on the day.